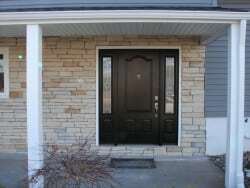 Door Replacement Options From New Jersey Siding & Windows, Inc. Learn more about door replacement below and browse some of the available options. To get started, contact the craftsmen at New Jersey Siding & Windows, Inc. online or by calling 973-895-1113. Depending on what you hope to achieve with your new door, there are several different factors to take into consideration. Ask yourself these questions: What material is the door made out of? What color is it? What size is it? Will it be an ornate statement piece or something simple? Where will it go in the home and how will people use it? Because doors play such a large role in the home, it’s important for you to find one that meets all your needs. If you’re not sure about exactly what you’re looking for, our team will help guide you through each step of selecting a new door. Step 1: Select a material (steel or fiberglass) and a style of door. Step 2: Choose a color or wood stain for the door to complement your home. Step 3: Pick out a door knob, lever or handle. Step 4: Accessorize the door to customize it even more to your tastes. Browse our selection of doors, including ones with beautiful designs, heavy-duty construction, energy efficiency and more. Make a good first impression with an unforgettable, Amish-crafted entry door. 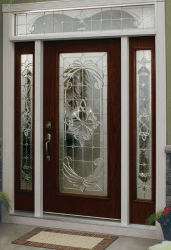 All of our entry doors are made from high-quality, professional-grade materials. 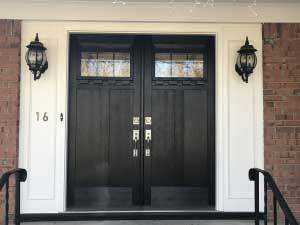 For a classic, stunning wood-like appearance, opt for fiberglass doors or textured steel door. New Jersey is no stranger to storms. Select a storm door to protect your home from the elements. 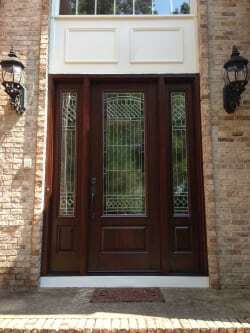 Ours are 20% thicker than most storm doors and are available in a wide range of colors, designs, hardware and more to help you find a style you love. Enjoy peace of mind with a steel security door. Our security doors feature a welded, 16-gauge stainless steel tube frame, tempered safety glass, steel vault pins and powder-coat finishes. They’re designed to prevent forced entry while adding beauty to the home’s exterior. 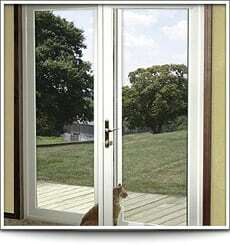 Install a luxury sliding glass door. We carry the popular Kingsroyal Glide™ patio doors by Soft-Lite®, which are known for their durable, energy-efficient designs and range of customizable options. If your door is weathered, damaged or old, the frame and jamb may need to be replaced or repaired as well. After enduring years of use, water and wind, these components may no longer be as secure and reliable as you need them to be. Our team is highly experienced with correcting any door frame issues to ensure your replacement door fits perfectly, works correctly and looks beautiful. 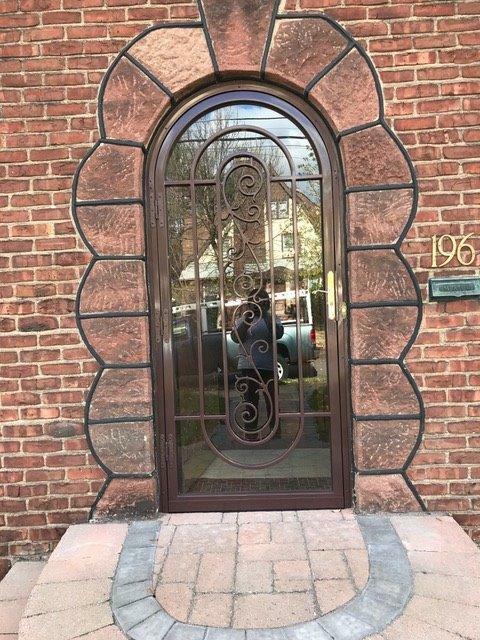 For more information about replacement doors for your home, get in touch with New Jersey Siding & Windows, Inc. Based in Randolph, we serve homeowners all throughout Northern and Central NJ who are looking for a new replacement door. Contact us today for a free estimate.